Product information "T Series Film Capacitors"
NWL’s low loss dielectric system designs, combined with an understanding of managing heat for critical applications, brings to market the WF-Series capacitor products. This air cooled high voltage product accommodates both high voltage DC insulation, and high voltage AC RMS sine wave circuits. In power factor correction applications where the AC harmonic component exceeds the conventional rating, NWL’s WF-Series capacitors are made to handle excessive RMS current harmonics provides resolve. NWL’s T-Series capacitors are DC filter, DC pulse capacitors that offer a customized package approach with a variety of preferred termination options. By utilizing in-house standard dielectric film systems, both metalized polypropylene and polypropylene/foil, NWL can keep the solution economical. NWL can create the ideal mounting features directly on the packages that can position a capacitor into the areas where overall volume is a concern or convenience is preferred. All capacitors need to be electrically connected and for NWL’s T-Series, the termination is out of the capacitor to the customer’s connection point. By utilizing insulated wires, custom bus work, and the end connection required for contacts, T-Series capacitors allow innovation into the design that makes routine assembly fast and effective. 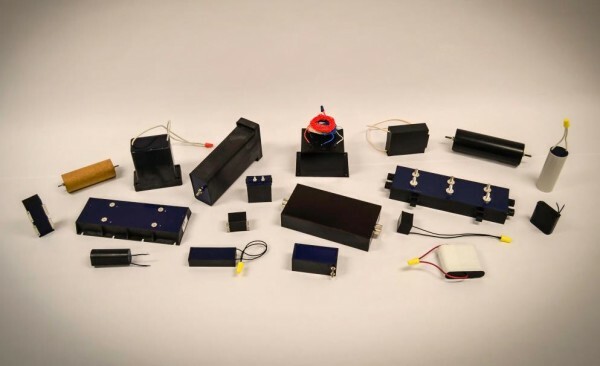 Custom package – Select from assortment of unique packages or create and customize to exactly fit into desired volumes as well as added features on capacitor housing. Terminal options – With a wide variety of termination options: insulated wires with standard snap terminals, pc board pins, custom laminated bus, threaded terminals, threaded inserts, and any means of bringing the capacitor to required collective contacts. Related links to "T Series Film Capacitors"
Customer evaluation for "T Series Film Capacitors"